Salem played west branch tonight for senior night at Kelly park. The game was closer than the end result no disrespect to west branch. They are a good team. Salem got five hits from Rylee Meals Raegan Meals Cassandra Burke Rylee Leider and Clara Janofa each with a single. Cassandra Burke had a walk too. Katie Moore had a sac bunt too. For west branch,they got eleven hits total but freshman collfelt had two singles double and 5 RBI s and Stewart had two singles. Clara Janofa pitched a great game for salem with one strike out but her pitches allowed our defense to make the catches especially our outfield with 13 put outs while raegan Meals did the catching for Quakers. Kelsey Byers pitched for west branch with seven strike outs and one walk catching was bailey Byers. 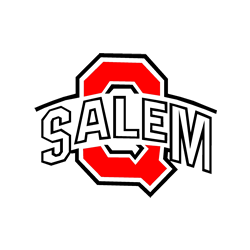 Salem will travel to canton south Thursday may 14.